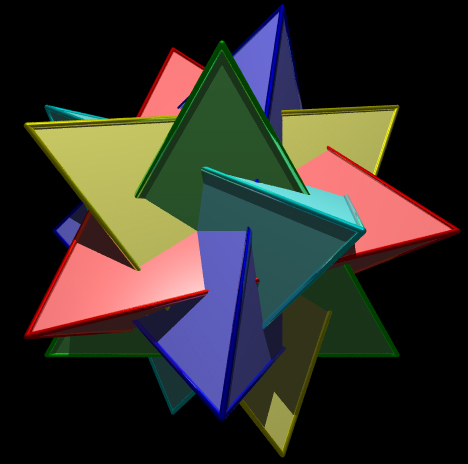 The so called "timestar" shown below is an elegant (and at times somewhat confusing) set of 5 interlocking tetrahedrons. 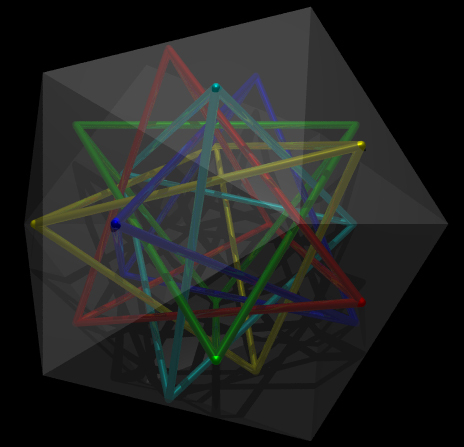 Order can be made of this jumble by realising that the vertices of all the tetrahedra lie at the midpoints of the triangular faces of a icosahedron. 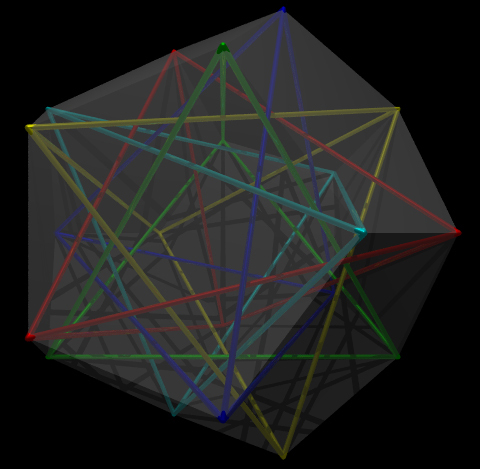 Which similarly means the vertices coincide with the vertices of the dodecahedron. 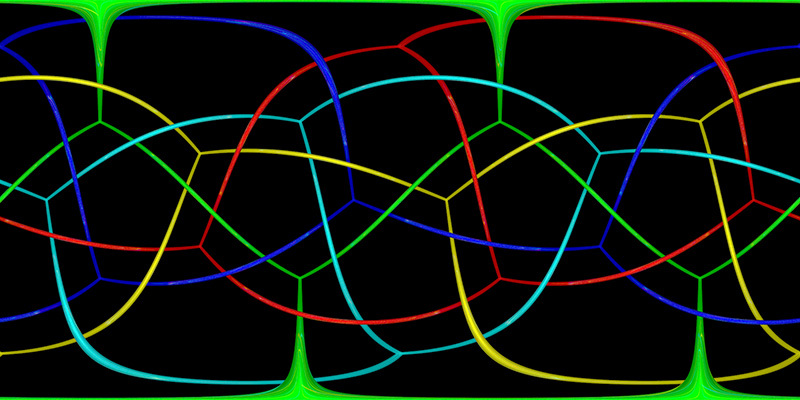 View from the inside, equirectangular projection.